Mexico has become increasingly popular with tourists. People from all over the world now have an urge to enjoy the country’s seemingly endless sunshine and stunning scenery. Let’s face it, there are not many countries in the world that are as naturally and culturally diverse as Mexico. The countries famous destinations are now sadly overrun by tourists. It’s almost impossible to visit anywhere that’s completely untouched by tourism. Locations once considered remote are now easily accessible. 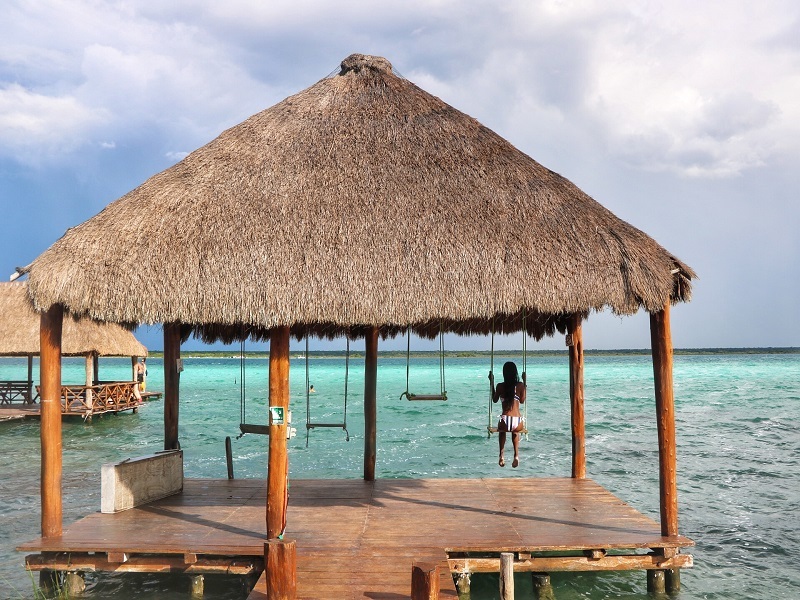 Situated inland, down the coast of Quintana Roo, lies the magical 40 km long Bacalar Lagoon. It is the second largest natural body of fresh water in Mexico. The many shades of vibrant blue hues of this lagoon are quite unique which is why it is also known as the “Lagoon of 7 colours”. Not only is the water is warm and crystal clear, as the depths of the lake changes, the colours morph from bright turquoise to deep indigo. Due to its remote location, it’s one of the least touristy places you can visit this close to the Caribbean Coast of Mexico. Bacalar is not only quiet and relaxing but its also a cheaper destination compared to the popular Tulum or Cancun. Bacalar lagoon, is home to stromatolites, the largest organisms on earth, about 10 km long and taller than 3 meters. These ‘living rocks’ are structures similar to coral reefs formed by the growth of blue-green algae and usually form in shallow water. Entry to the Cocalitos Cenote Park is R20 per person. Start your day with a fun and memorable experience and book a sightseeing stand up paddle board tour across the lagoon at sunrise. This experience will cost you around R320 per person and includes breakfast. If you’d like to see the important features that make up this breath-taking place, you can enjoy a boat trip around the beautiful lagoon. 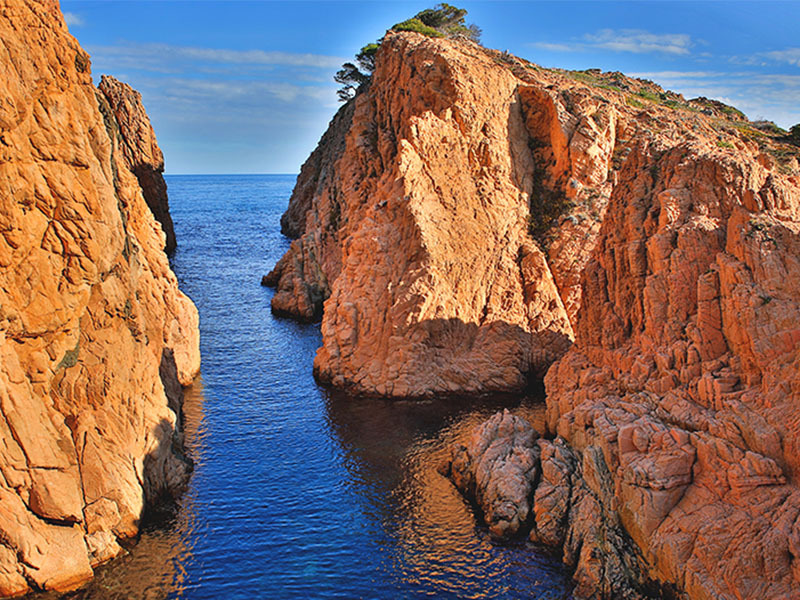 This is the perfect way to explore it and witness the water’s colours constantly changing. The guides are experts and passionate about the lagoon, they will provide you with all the ecological information you need to know. During the tour you will have a chance to cool off in the water and go to the wetlands where you can exfoliate yourself with the mud. You might even have an opportunity to sample some local fruits. A three hour long boat tour will cost you around R500. One of the tops things to do in Bacalar Lagoon is to just relax. You can start your day by watching the sunrise over the beautiful lagoon and enjoy your morning swim then just relax in a hammock by the water while reading a book. The lake’s colours in combination with the peaceful atmosphere will allow you fall into a deep relaxation mode. Another adventurous way to explore the scenic lagoon is via kayak. You can either hire kayaks for R100 per hour and kayak around the lagoon by yourself or join a guided tour. To learn about the history of Bacalar head to the San Felipe Fort, it is located in the centre of town. You can’t miss this historic, 270 year old structure. Inside it, you’ll find a small museum detailing the history of the area. Its definitely worth a visit with an entrance fee of about R40 per person. The Fort is open six days a week from 9:00 am to 7:00 pm and is closed on Mondays. 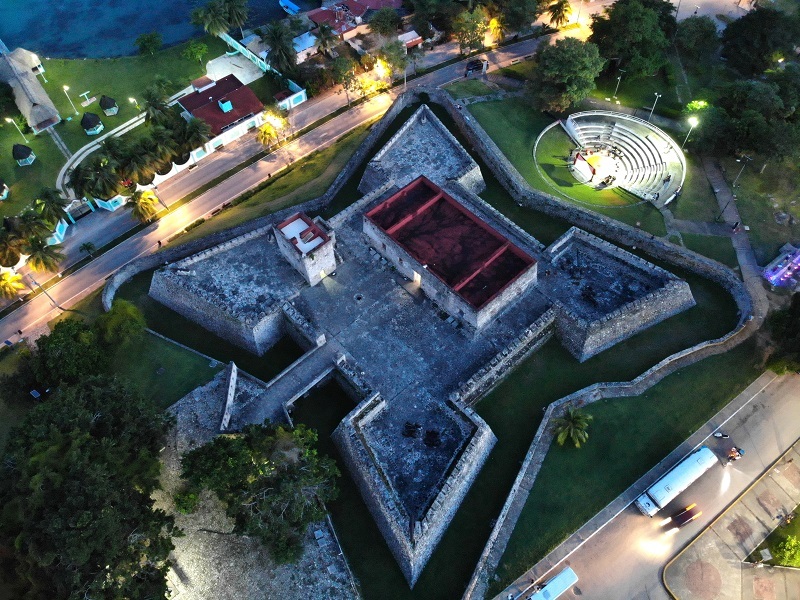 There is not only history offered there but also fantastic views of the lagoon that will transport you back to an age when pirates were a constant threat. For those interested in bird watching. Bacalar lagoon is the ideal place for you to spot many different bird species because there are so many that call this area home. You can spot egrets and hawks. There is plenty of wildlife to be seen here. Designed for adrenaline junkies, you can fly over the Mayan jungle through almost a kilometre and a half zip. The view from the top is spectacular with the greenery and the lagoon in the background. How to get to Bacalar Lagoon? 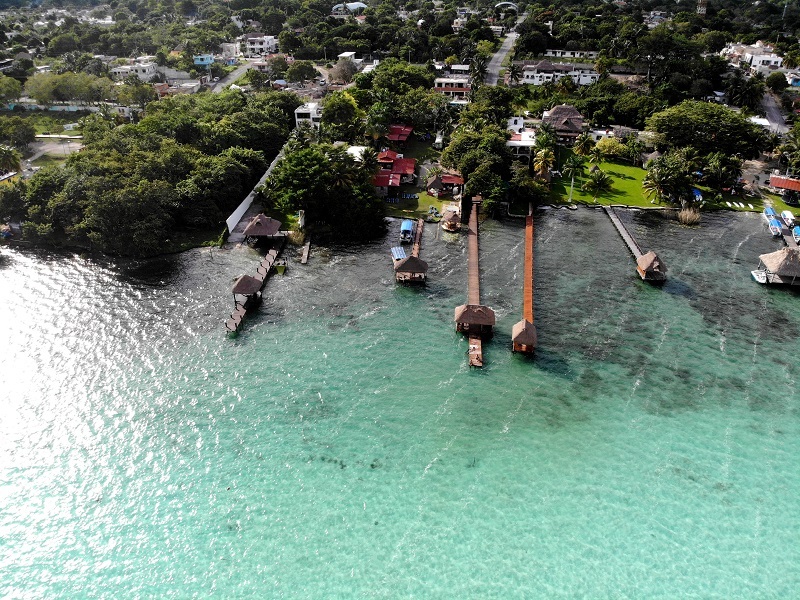 By Plane: Bacalar is about 40 minutes away from the city of Chetumal and this is where you’ll find your nearest airport. From there, you will need to hire a car or take a bus to get to Bacalar. By Bus: The bus system in Mexico is a reliable and convenient way to travel throughout the country. You can get to Bacalar with the ADO bus from Cancun. ADO buses are very comfortable. The air conditioned journey, with washrooms and screens to watch movies will get you to Bacalar in just 4 hours. A one-way ticket will cost you about R400 per person. You can search timetables on the ADO website. By Car: The Yucatan Peninsula is among the safest regions in the country for tourists exploring by car. From Cancun, you’ll drive along highway 307 south for 4 hours. Along the road, you will pass a few Mayan Ruins that will remind you that you are in a special place and you’ll feel like an explorer. When to visit Bacalar Lagoon? Average temperatures in Bacalar vary very little. The warmest and most popular months are May, July, and August. If dry weather is what you’re after, the months with the lowest chance of significant precipitation in Bacalar are February, March and April. The busiest month for tourism in Bacalar is January. Prices for hotels and flights will be most expensive. It is advisable plan and make bookings for your vacation well in advance. This will help in saving costs. Have you already fallen in love with Bacalar? There’s not time like the present to book your next flight to Mexico. Bacalar is one of those places you dream you could go back to as soon as you’ve left. It really is peaceful. 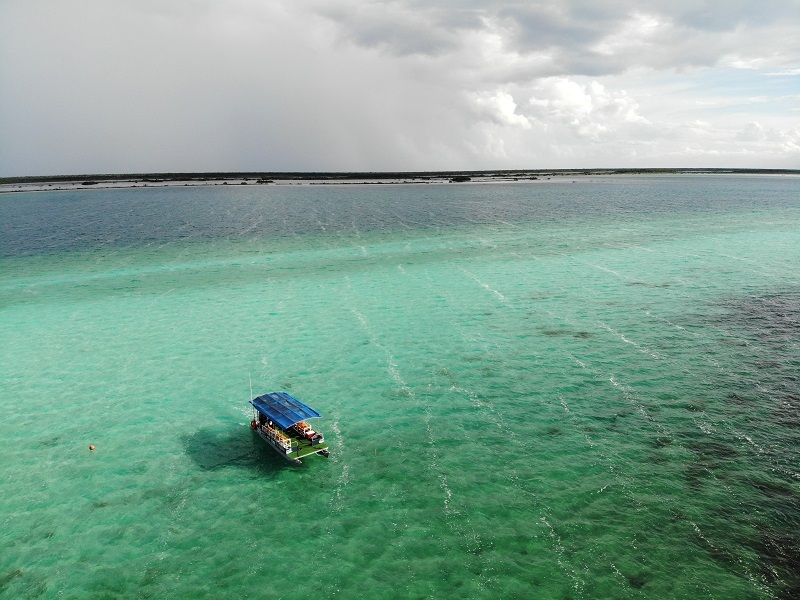 If you are looking for a place that exudes homage to the tranquility and beauty of nature then this is it.There is no better panorama than that offered by the skies of Bacalar! What are some of your favourite Mexican cities? Let us know in the comments section below!